A braided streamer of brilliant MULTI-COLORED paper, that can be produced from almost anywhere. Just open your mouth, reach in... And magically produce 46 feet of Green colored streamers, COMPLETELY DRY! This effect NEVER fails to get an applause from any audience. If you prefer, the coils can be produced from a hat, production box, purse frame or anywhere else your imagination can take you. Each are hand crafted in the USA. 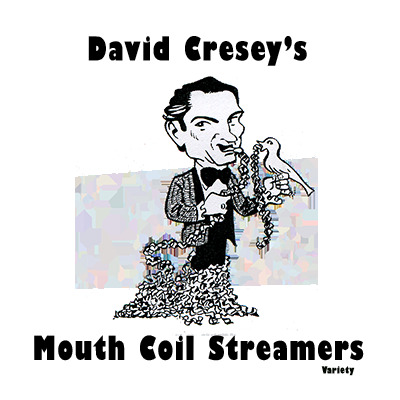 David Cresey brings you only the best!